(Video) An Insane Way to Catch Razor Fish – Wow! Have you ever tried to catch those sneaky razor fish but found yourself straight outta luck? They're so hard to catch or even find out on the beach. During a collapse, they can really come in handy when food sources are low. Cooking them over a fire can make a delicious meal! 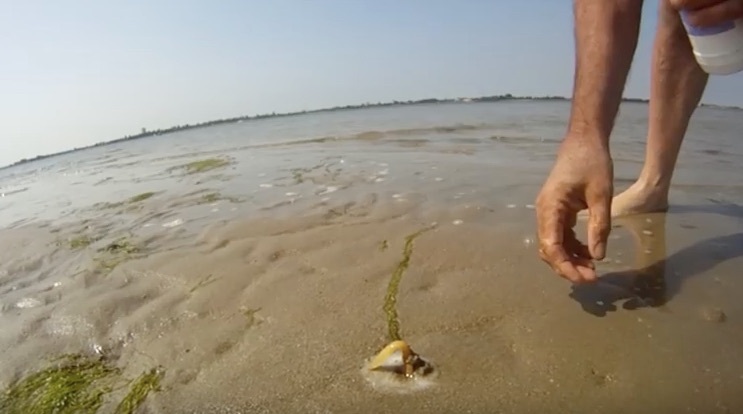 This video will give you a super quick and easy way to catch razor fish! You'll be shocked at how easy they are to coax out of the sand. In no time, you'll have plenty of razor fish to help sustain you through the harshest conditions. You need to see how insane this method is! Watch and see how you can catch your razor fish while bugging out with this insane technique covered on the video on the next page. But what was the product he poured on the hole to draw the fish out? Salt? Okay so…what is the powder he sprinkles? We used to do this every w,end as kid when we went camping to Glenariff in N.Ireland .basically these razor fish come up when the tide is in ,to feed on small sea forms ,plankton etc.this can be simulated using a small bucket of salt water when the tide is actually out ,or even table salt .very tasty pan fried or in batter .loved them .